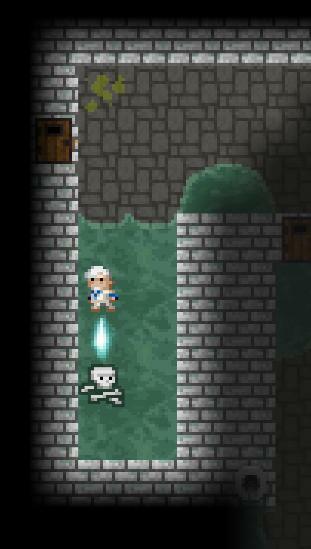 A casual roguelike Android game with pixel-art. The focus of Dixel Pungeon is exploration. Discover what lies beneath the depths of the ancient city of LelDorado! 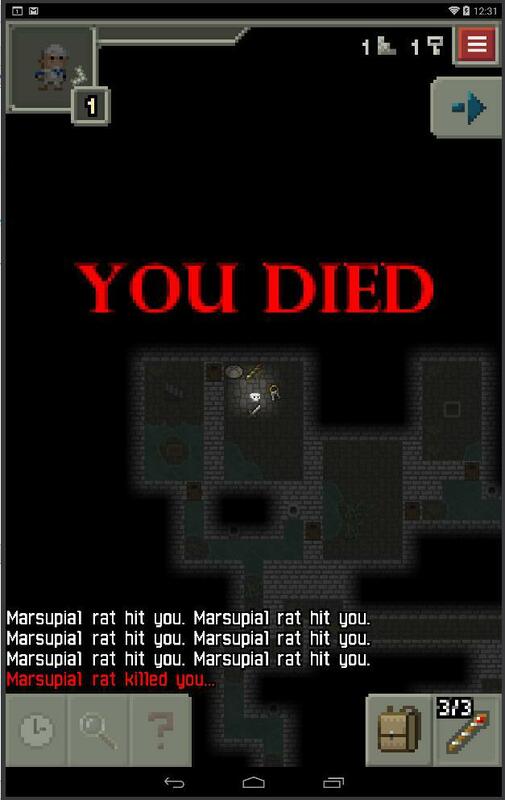 Dixel Pungeon is based on Pixel Dungeon; all credit to watabou, and thanks for making it open source. New here? Jump to the Getting Started section. Check out the DixDex, the Codex of all things Dix. For now, get the latest binary (Android APK) here: http://arfonzo.org/dix/pub. It's easier when starting out and for casual playing. It's big: levels are on average 4 times larger. 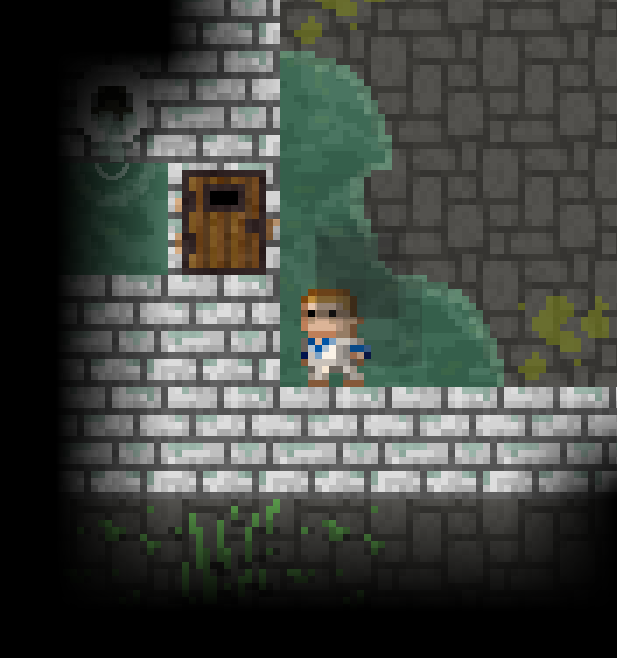 More tiles, more textures, more MOBs... more stuff. Carry more: your inventory is increased to reflect the larger world. 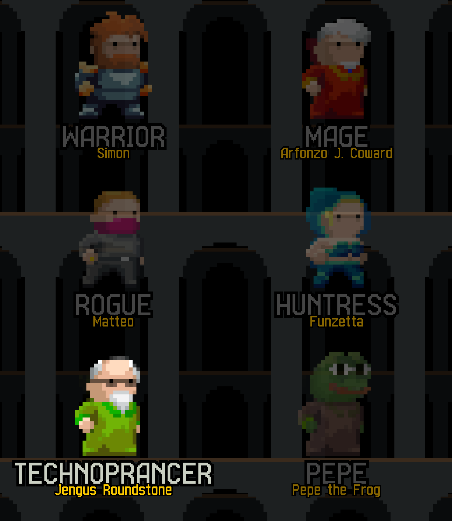 More hero classes for varying gameplay styles: play as Technoprancer or Pepe the Frog. More focus on exploring levels to their fullest. More food, less hunger: start with more food. MOBs have a chance of dropping food. 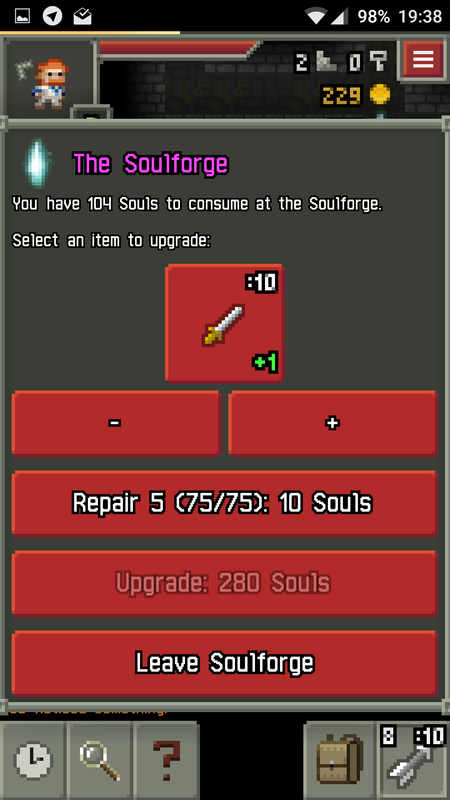 Soulforging system developed for item upgrades and repairs. Updated status pane to display Gold and Souls. There have also been a plethora of other code changes, too numerous to list here. Refer to the git commit history for details. It has elements from the Dark Souls series: soul collecting, campfires for resting and upgrades. 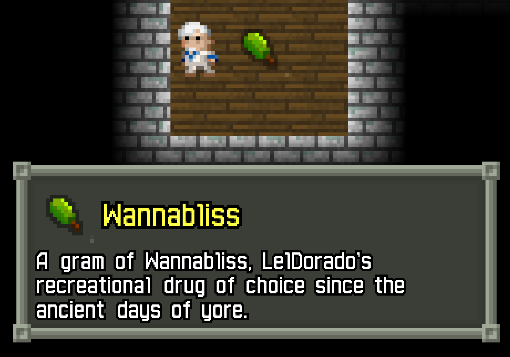 Vanquish foes and collect their souls. Explore and return to the safety of the campfire. All new custom Hero Classes to play! 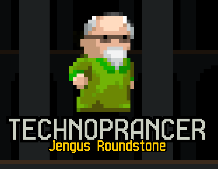 Technoprancer, for you gun-toting techheads. Pepe the Frog, for your meme-loving freaks. Drugs: find and consume drugs, to your benefit or detriment... responsibly! 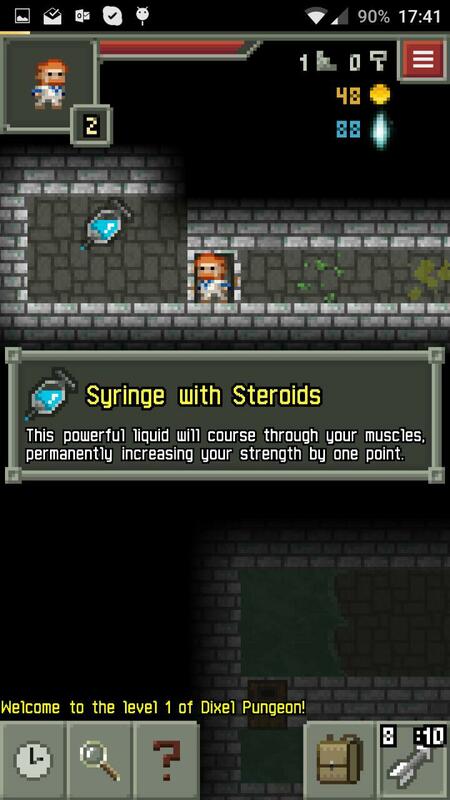 Chemicals: a whole new class adding good and bad affects for you pill-popping, steroid-injecting psychonauts. 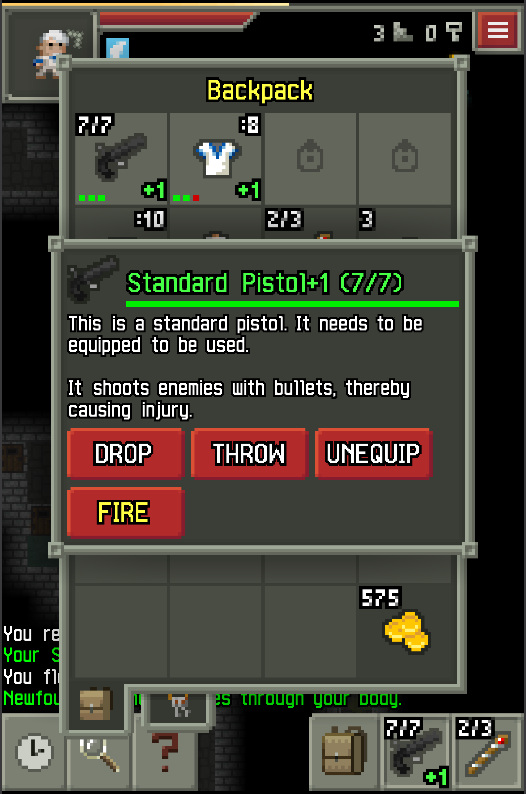 Guns: when blades and magic fail, shoot them in the face. Repair your stuff: ensure your equipment is functioning optimally by repairing them at the Soulforge. Enable your second quickslot, found in the Settings, in-game only. Take time to craft and upgrade your items. Spend souls at the Soulforge wisely: upgrade better, costlier items using Scrolls of Upgrade instead. 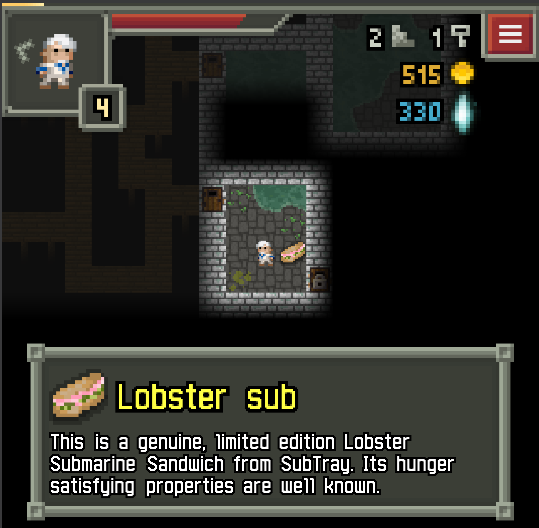 Shops are found on all even-numbered levels, except for those with bosses. Buy a Gold Ankh as soon as you can afford it, to cheat death. 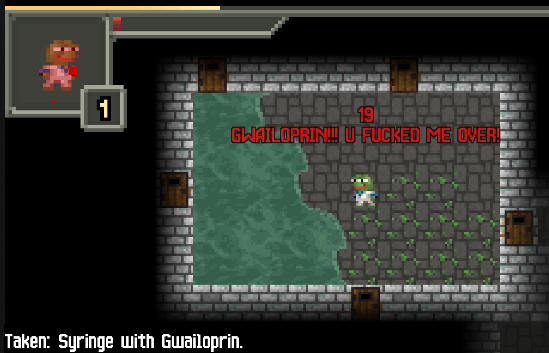 You will lose all non-equipped items on dying. Use your firearms wisely: the noise alerts MOBs and the melee damage from pistol-whipping isn't great. 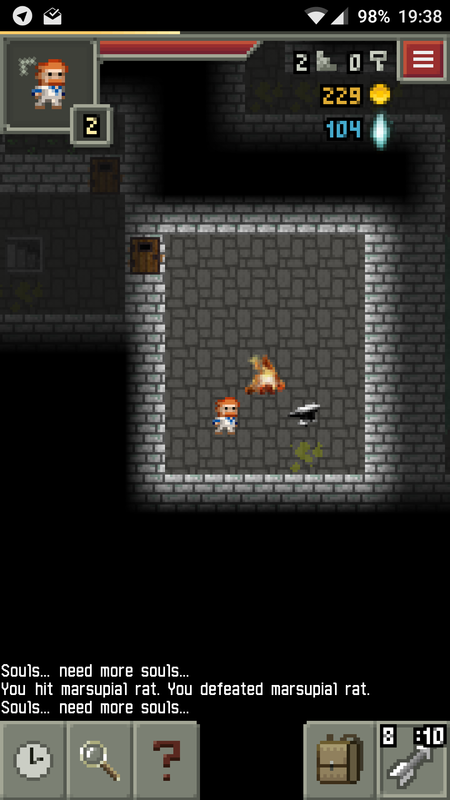 Search for ammunition throughout the levels. Smoke 'em if you got 'em: smoke some Wannabliss--it could provide insight about the secrets of a level. Remember the basics, people: if you're on fire, why not step on some water? 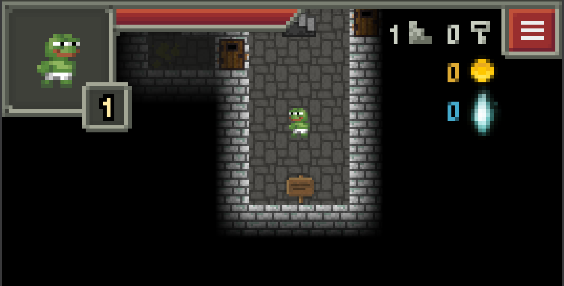 Don't play it like Pixel Dungeon: this is Dixel Pungeon. Please report to the issue tracker.